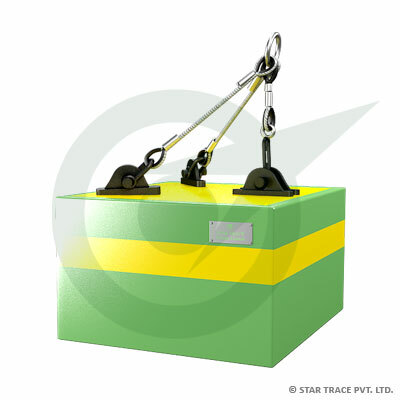 Suspended Permanent Magnet | Coal Processing | Star Trace Pvt. Ltd.
STAR TRACE suspended permanent magnets (SPM) are designed for high separation performance in over the belt conveyor applications. These heavy duty permanent magnets incorporating all welded construction are particularly effective in removing tramp metal in high volume applications. The series is designed for heavier applications, i.e., coal, grain etc. Suspension kit for fixed mounting to conveyor frame.